There is always a challenge in creating real world versions of food and drink that is probably mystical in origin. In this case, I wanted to include the elements in the description, namely the mint & thyme, and the green color. And then, if possible, I hoped to capture a bit of that restorative power. 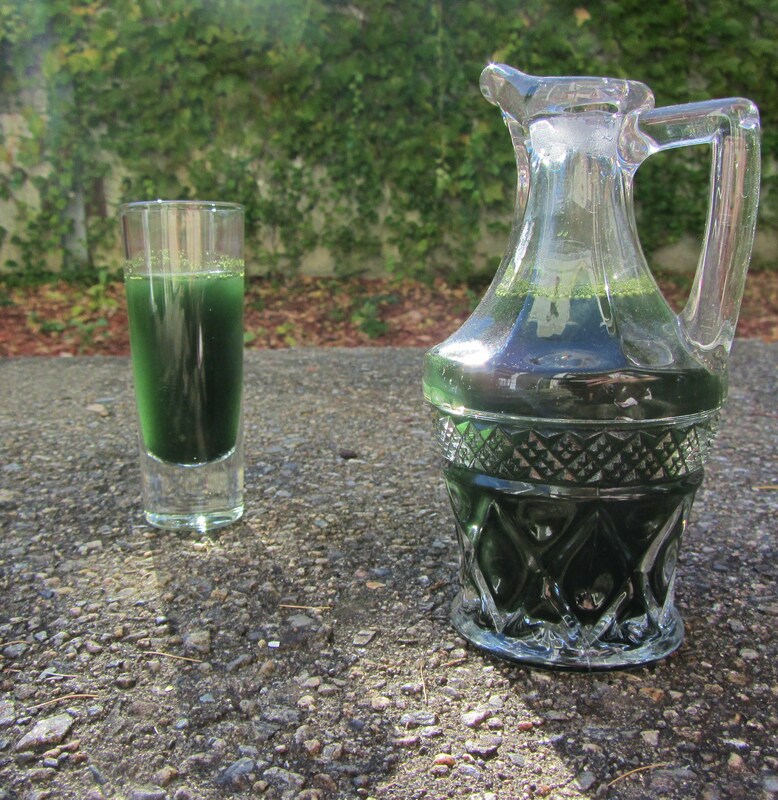 Spirulina proved to be the key ingredient, as it gives the drink that Emerald-City-green, and the combination of protein, vitamins, and minerals helps restore what one’s body has lost as a result of over-indulging. The flavor is fairly pleasant, owing mostly to the mint and copious amount of honey (which helps keep the green powders in suspension). This restorative beverage is lovely the morning after heavy drinking, but is also very effective when taken before going to bed. I personally recommend taking half warm before going to sleep, and chilling the other half for the morning after. honey, to taste, but at least 1 tsp. Combine the tea bags and herbs in a small saucepan with the boiling water. Simmer for around 10 minutes, then remove from heat. Strain into a bowl, and stir in the honey while the liquid is still warm. Allow to sit until it is still warm, but cool enough to touch. 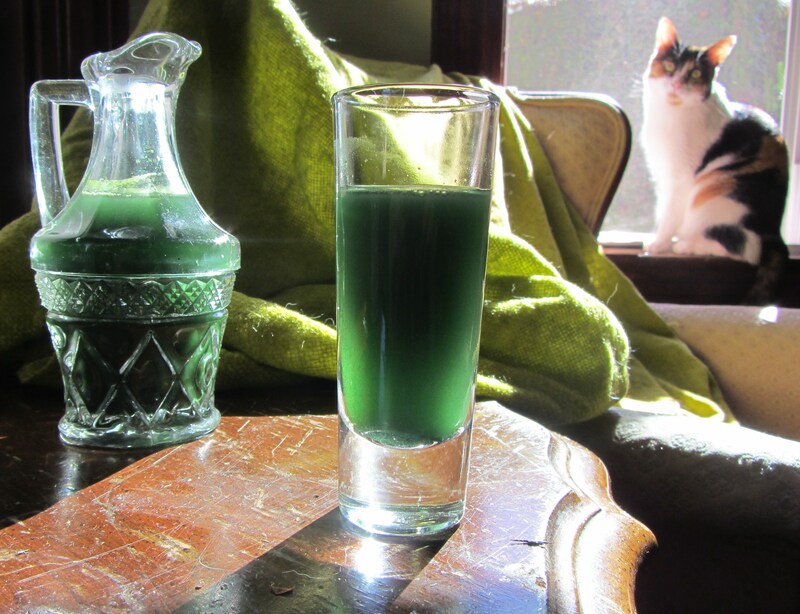 Stir in the spirulina, and if using, the wheatgrass. Stir until it’s completely combined, and serve. , blend, and let sit for 10 minutes. Strain, chill and serve seriously ice cold.